Luis Urrea is a 7th grade science teacher at Juan de Dios Salinas Middle School in the La Joya Independent School District. Urrea is a Teach For America educator. 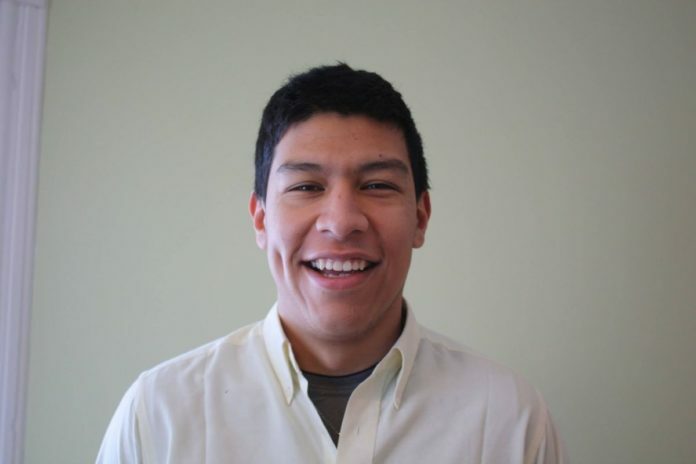 Urrea answered questions about his time as an educator and in the Teach For America program. Question: What motivated you to apply to join Teach For America and choose to teach in the Rio Grande Valley? Answer: My main motivation to apply to Teach For America in the first place was the memory of my own inspirational teachers. I remembered how they had treated me, both as a student and a person, and I knew that I wanted to make a difference in the same positive way that they had made a difference in my life. The choice to teach in the RGV came from a desire to be in an area that had deep Mexican roots. As the son of Mexican immigrants, I wanted a place in which I could share in the celebration of that shared heritage. A: Definitely the most surprising thing in my short time as an educator has been the importance of relationships. Teacher-student relationships, teacher-parent relationships, and teacher-teacher relationships must come before any knowledge we teachers may be trying to impart on our students. Without first building solid relationships, there is no foundation for empathy, caring, or love within a classroom. Without those necessities, learning cannot and will not happen in the classroom. A: If I could change just one thing for my students, it would be the amount of reliable people that they have access to. When you stop to think about it, one teacher may have, on average, 100 students to care for and nurture in any given year. I, like most teachers, wear myself thin trying to adequately give the attention to each student that they deserve. Our students, our children are worthy of so much and yet there’s only so much that one teacher can do. Our kids come to us with many different needs and teachers must work together with families and communities to support every child. A: First and foremost, Teach For America creates awareness of the issue. I myself had no idea how in need some schools were until I started the application process! Teach For America does a great job of disseminating information and getting it to the right ears and hands to hopefully make changes. Secondly, Teach For America molds leaders who go on to not only lead in the classroom but in other public and private sectors as well. This lends a hand to the “awareness” I mentioned, but it also means that there are more and more people on the ground actively working for change. A: The kids, undeniably, are the most rewarding aspect of this wonderful work that we do. Just when you think that you’re not making any progress, a student will say something brilliant or begin to view the world in a new way or begin to respect their classmates. Growth happens every day, one just has to know where to look. A: The first memory that comes to mind is the last day of school from this past academic year. On this day, one of my students (on whom I wondered if I had had an impact on) came to say good-bye to me on three separate occasions, two during which he was crying. Since I teach 7th grade, I knew I would see this student again in a couple of months. The fact that he thought he would miss me so much that he had to say good-bye three times really impacted me. It’s something I will never forget.